Hi there, how’s your week going? Today I’m sharing this anniversary card that I made to give to my sister to give to our brother and sister-in-law for their anniversary last week. 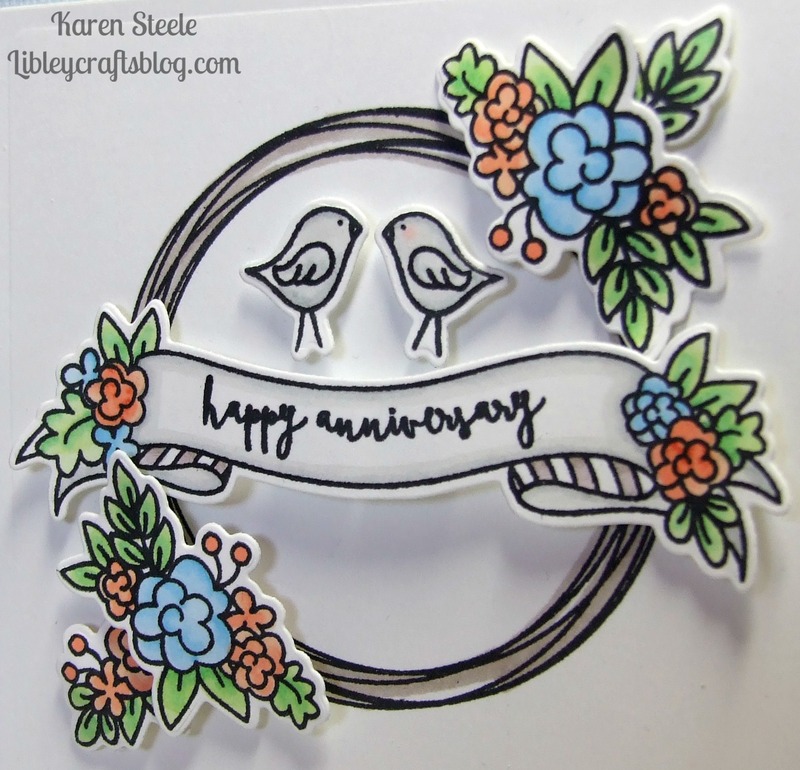 This stamp and die set was my Mother’s Day present from my kids – not that I’d been dropping any hints or anything 😉 There are lots of groups of flowers in this set so you can build up a nice little arrangement around the wreath. 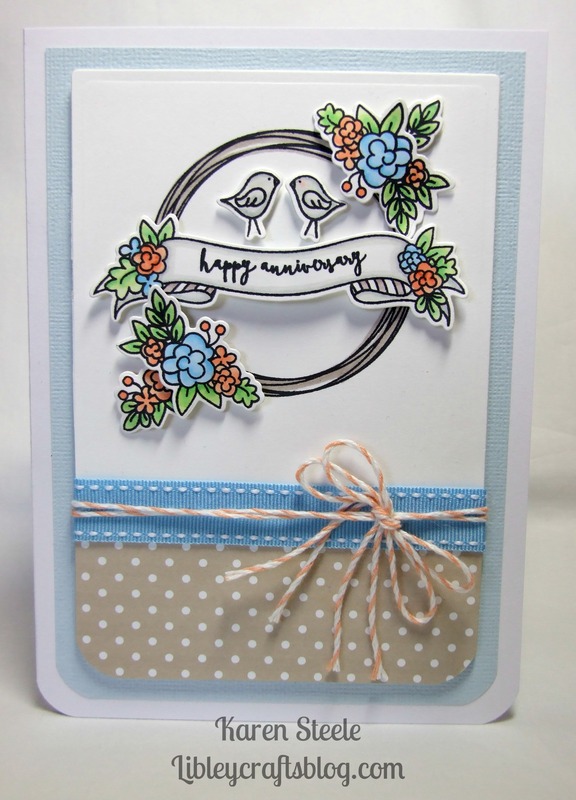 I also used Spectrum Noirs, ribbon, twine, American Crafts blue cardstock and the spotty paper is American Crafts – Neapolitan. This is beautiful! I love the soft colors and the rounded corner – sooo pretty! So gorgeous. Cute and sweet, but not too much so. Bet they love it! Very pretty, Karen! Love the sweet love birds! Hi Karen! This is so sweet, I love the elements you have chosen to achieve such a pretty, soft look. I recently got this set also and still need to ink it up. Thanks for the inspiration! Oh my gosh, this is SOOOO PRETTY, Karen!!!! I adore the colors you’ve chosen and the layout is perfection!!! LOVE it!!!!! This is really sweet, Karen and i like the soft colors. What a lovely present from your kids! And love what you’ve made with it. Clean upper part and a bit of texture and spots, nice and classy!